Log in to your AT&T Office@Hand online account as an Administrator. 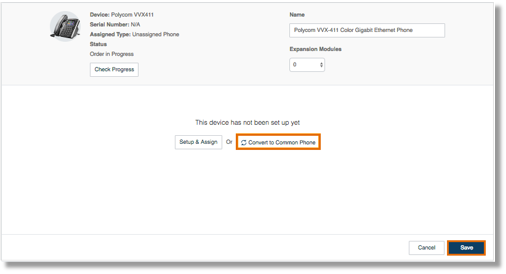 There are two (2) ways to add a Common Phone, follow the steps below to proceed. On the Common Area Phones tab, click Add Device. Select a Desk Phone(s) then, click Next. Select an Emergency Address. You may select from your list of saved addresses or add a new Emergency Address. For a New address, fill out the Emergency Address, read the text before checking the checkbox. Click I Accept then click Next to proceed. Provide the Shipping information and click Create Shipping Group. Click Next to proceed. Review and confirm the charges. Click Confirm to complete the order process. Click the Unassigned tab on the Phones & Devices menu. 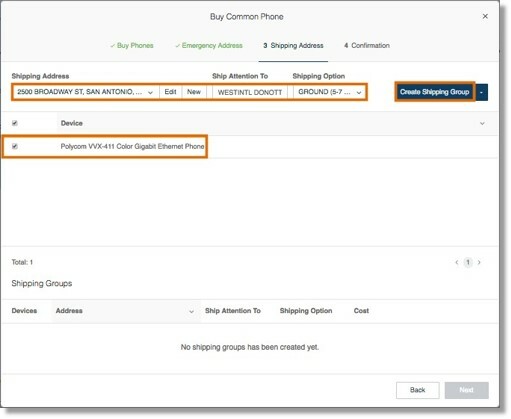 Select an Unassigned Phone and click Convert to Common Phone. Follow the instructions to proceed with converting your unassigned Device into a Common Phone.